The Friday Night experience will be the ultimate happy hour experience. You will have the opportunity to enjoy amazing curated fall cocktails paired with hors d'oeuvres + charcuterie, music by our LIVE DJ Brittany Benton (owner of Brittany’s Record Shop), a coat check, & shopping with over 80 small business vendors (ranging from eateries, vintage shops, handmade). This will be the ultimate Friendsgiving Party with the Flea. P.S. Dress your best! Grab your coffee & enjoy the hustle + bustle of the holiday season while shopping over 80 small business vendors (ranging from eateries, vintage shops, handmade). If you love the holiday season grab your besties & get all your holiday shopping done early while jamming to music DJ’d by Genna (@gracemachine32)! If you love the social aspect of the Flea without all the busyness this is the time for you to eat, drink, & be merry (and shop of course). Sunday brunch? Yes please. Do you love your coffee + bagels (or donut) on a Sunday morning (with a side of shopping, of course)? Sunday morning is your time, bring your family & eat up! Organizing a family field trip to the Flea? Sunday afternoon is the best option for you! You will be able to shop at your own pace, enjoy all the food & connect with vendors! You can purchase tickets for one of the 5 time slots or snag one of the limited full weekend passes & enjoy the Flea all weekend long! If you are coming in multiples consider splitting a Party Pack & receive 4 tickets for the price of 3 (while supplies last). *Kids 10 and under get in free! As always, it is best not to drive to the Flea. We recommend taking Lyft, or the trusty RTA. That way you don’t have to worry about weather, parking, and you can also indulge in one of our delicious cocktails! If you reeeeally want to drive here is our parking guide. 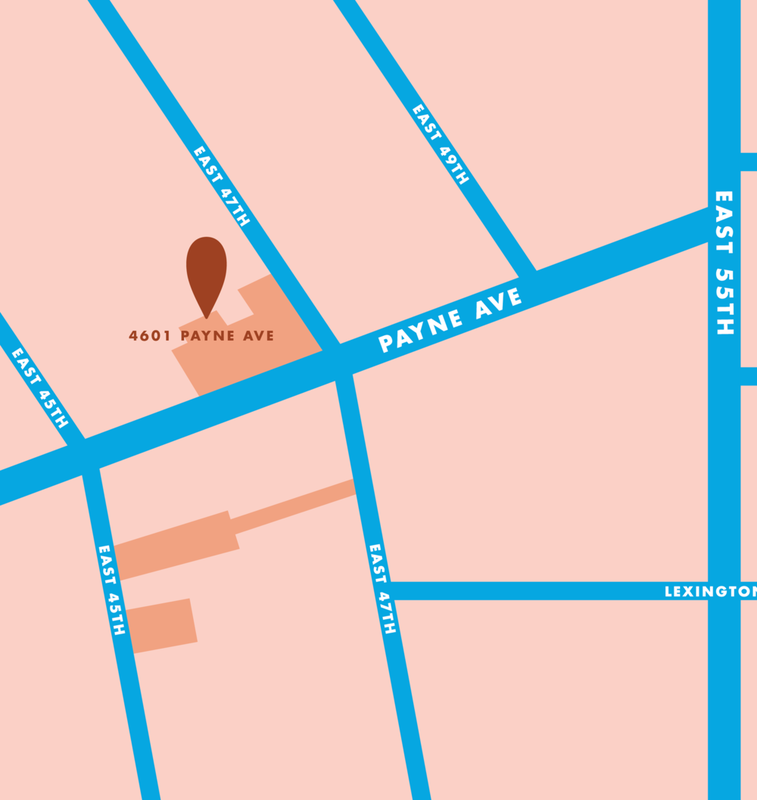 4601 Payne (where our event is) has limited parking + our 4 ADA spots. We have 4 ADA parking available at the front of the building at 4601 Payne Ave.
Do not park in spaces in the neighborhood that are marked no parking. There is plenty of street parking in the neighborhood (on e47th, e45th, and Payne). We have designated spots for large item pickup by the front of the building. 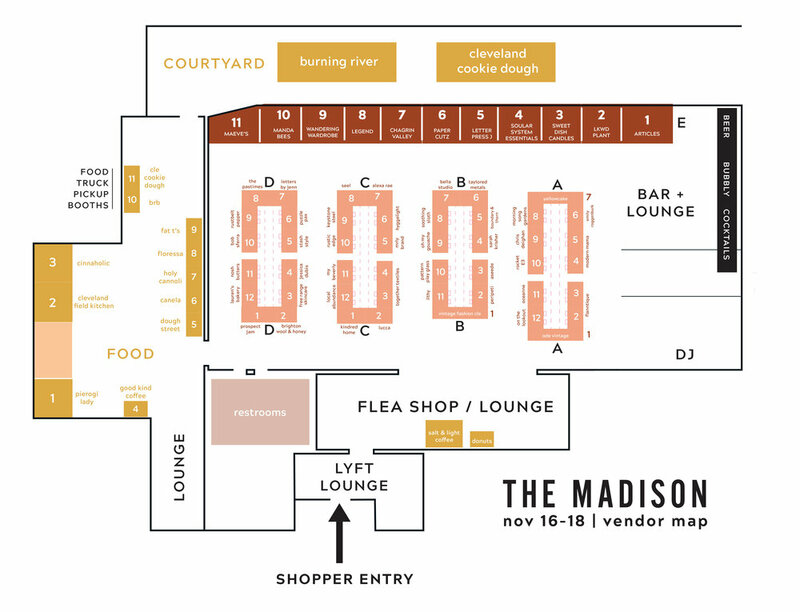 Wondering what vendors you should expect to see at Friendsgiving Flea?